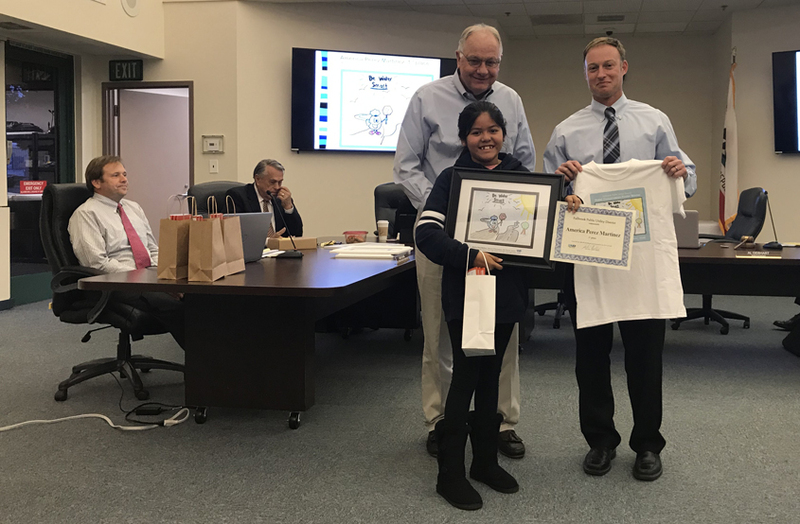 Fourth-graders from five Fallbrook-area elementary schools put pens, crayons and watercolors to work with the goal of creating the best and brightest water-conservation posters in competition to become part of the 2019 Fallbrook Public Utility District’s “Be Water Smart” calendar. Two hundred posters demonstrated the students’ enthusiasm and creativity. Out of these entries, 14 were honored in the 2019 calendar. The free calendars are available at the Fallbrook Public Utility District office, 990 E. Mission Road in Fallbrook, during business hours while supplies last. The pupils’ colorful images vividly depict the contest’s theme, “Be Water Smart.” The district’s panel of judges viewed all the entries to find the most eye-catching artwork that successfully communicated the need for saving water. The winning fourth-grade artists were recognized at the Fallbrook PUD board of directors meeting on Dec. 10. In addition to being featured in the calendar, each winning artist was presented with their original artwork matted and framed for them to keep. They also received a signed certificate of commendation from the district, along with prizes such as school supplies and gift cards. 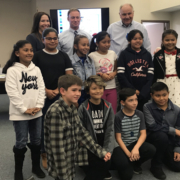 Additional monthly winners include Magaly Maldonado, Magdaleny Caralampio, Antonio Jesus, Maria Ordonez-Rodriguez, Mariana Jimenez and America Giles of Maie Ellis Elementary; Jordyn Jones of William H. Frazier Elementary; Connor Siegler, Lexie Graves and Wendy Sanchez Hernandez of La Paloma Elementary. The annual contest is open only to fourth-graders in the FPUD service area after they complete classroom instruction about water conservation and the water cycle. Students attending Fallbrook STEM Academy, William H. Frazier, La Paloma, Maie Ellis and Live Oak elementary schools submitted entries. All 14 pieces of artwork will be displayed on the FPUD website. They will also be displayed in the FPUD boardroom through 2019. 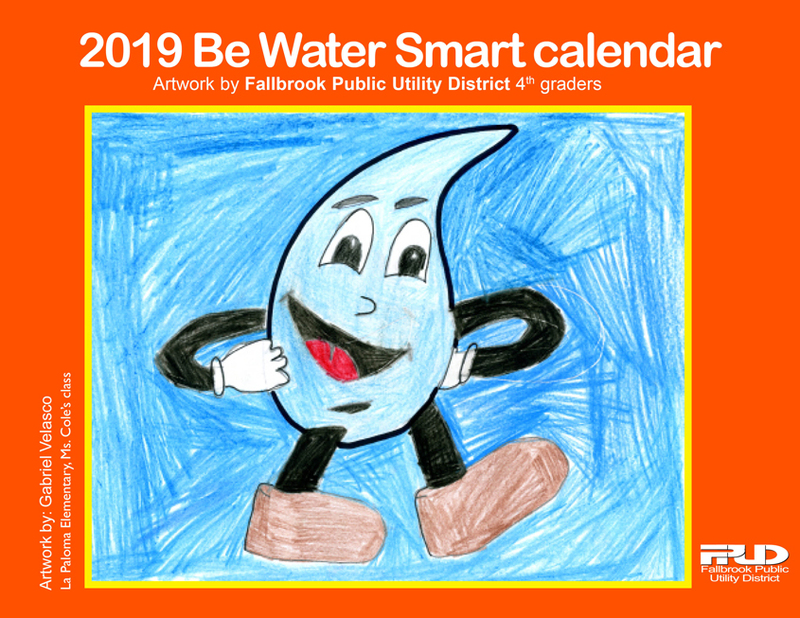 Fourth-graders from five Fallbrook-area elementary schools put pens, crayons and watercolors to work with the goal of creating the best and brightest water-conservation posters in competition to become part of the 2019 Fallbrook Public Utility District’s “Be Water Smart” calendar. Two hundred posters demonstrated the students’ enthusiasm and creativity. Out of these entries, 14 were honored in the 2019 calendar. The free calendars are available at the Fallbrook Public Utility District office, 990 E. Mission Road in Fallbrook, during business hours while supplies last. The pupils’ colorful images vividly depict the contest’s theme, “Be Water Smart.” The district’s panel of judges viewed all the entries to find the most eye-catching artwork that successfully communicated the need for saving water. 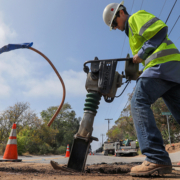 When residents in De Luz were forced to evacuate about 100 homes during the Rock Fire in July, an emergency generator installed by the Fallbrook Public Utility District proved its value by providing water to help firefighters extinguish the blaze. The generator was installed about a year ago at the Donnil Pump Station at a cost of about $140,000. Since then, several fires have sparked in the hilly backcountry community north of Fallbrook. The quick-burning Rock Fire broke out mid-afternoon on July 28 near Sandia Creek and Rock Mountain just south of the Riverside County line. 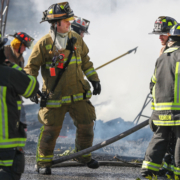 The blaze grew quickly to 74 acres within two hours. Nearby residents were advised to evacuate, affecting about 100 homes. 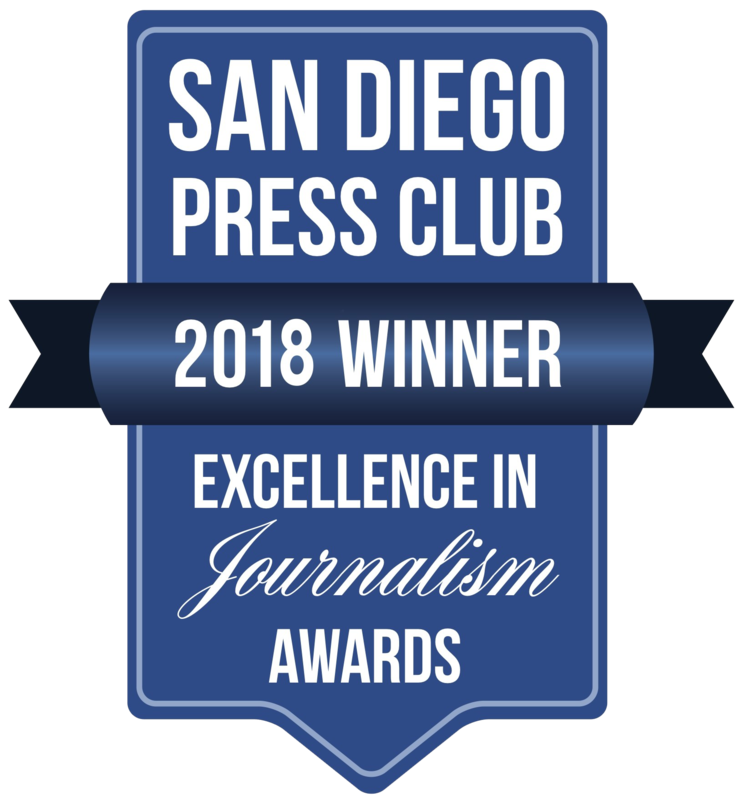 San Diego Gas & Electric shut off the power for safety to 530 residents in the area at 4:12 p.m., according to information on the SDG&E outage website. The outage cut power to the pump station. FPUD kept water running thanks to the new generator, which is among several recent district projects and upgrades designed to maintain water service during emergencies. The fire grew to 225 acres, but by 7:30 p.m. the forward spread was stopped. Power was restored gradually through the night, and the evacuation order was lifted the next morning. The Donnil Pump Station conveys water from the San Diego County Water Authority’s aqueduct to the high-pressure zone in De Luz. The station was built before FPUD merged with De Luz Heights Municipal Water District in 1990, and it serves as the principal pump station in that area. The pump station was upgraded as part of the district’s capital improvement plan. Without an emergency generator, water supply to the area could be cut off during a power outage. If that occurs during a wildfire, it could reduce flows for firefighters when they need it most to protect the community.